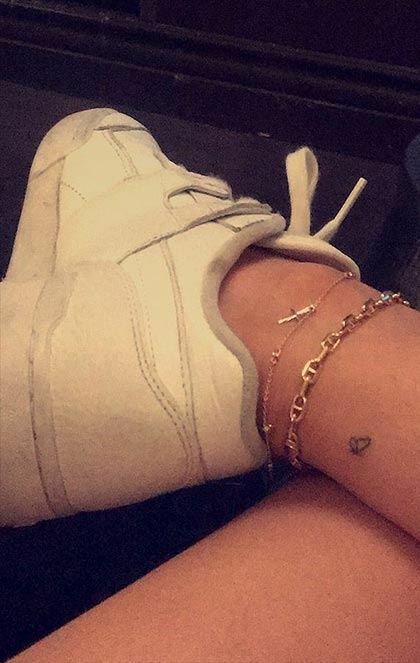 In case anyone needed more proof that Kylie Jenner and Tyga are indeed over, please refer to her left ankle. On Monday, Kylie was spotted in London in a white tee and leather pants that were folded just enough to reveal a new tattoo. Actually, it's more of a redesign than a brand new design, as it looks like Kylie has replaced her teeny tiny "t" tattoo with something more tasteful: letters marking her hometown of Los Angeles. The upgrade comes some three months after People reported that Kylie and Tyga had split up for the 56th (my estimate) time, with one source calling it a "little break" based on the pair's on-again, off-again history. Kylie was later spotted getting cozy with Travis Scott at Coachella and the two have been pretty much inseparable ever since. 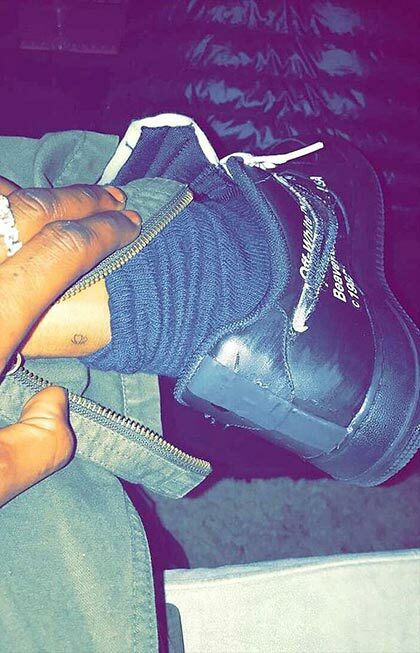 In June, the new couple made things official by getting matching butterfly tattoos on their ankles and yes, there are Snapchat receipts to prove it. Kylie first debuted her "t" tattoo, presumably as a tribute to Tyga, last December while posing on a lounge chair in a bikini. It wasn't until one month later that TMZ reported that Kylie had paid a visit to celebrity tattoo artist Rafael Valdez for the tiny tat. 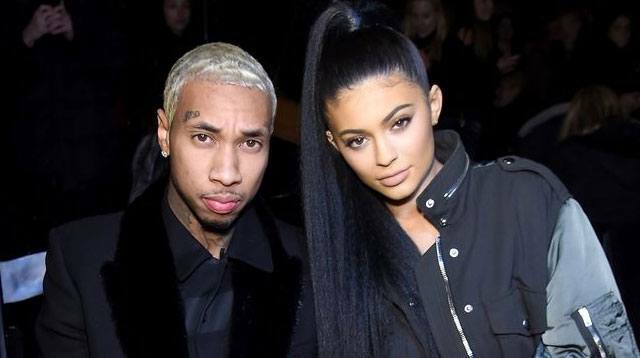 It's unclear what Tyga has done to his "Kylie" arm tattoo since the split. If he's following Kylie's footsteps in the redesign department, he'll need to get creative as he's working with more letters. Maybe a cute animal? Or a continuation of whatever else is going on here?